Featured Articles By Michael M. Baden, M.D. “Can Animals Help Limit Concussions?,” by Gregory D. Myer (Op-Ed, Jan. 3), notes that woodpeckers do not appear to sustain brain injuries from head banging. Certainly they are not found dead next to their trees. The skeletal anatomy of the woodpecker’s skull protects against brain damage from frontal impacts. The anatomy of the human skull is similar with its layers of facial bones, spaces and sinuses that help protect the human brain from direct frontal trauma. This same protection is not present on the sides of our skulls. This is one reason that our brains are more vulnerable to blows from the side, which are more immediately brain destructive and more likely to cause rapid loss of consciousness and even death than frontal impacts. Side impacts must be more fully addressed to be able to develop safer helmets for children and adults. The writer is a former chief medical examiner for New York City. Bio for Michael M. Baden, M.D. 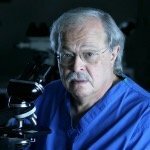 Dr. Michael Baden is the former Chief Medical Examiner of New York City and past Director of the New York State Police Medico‐Legal Investigations Unit. He received a B.S. Degree from the City College of New York and an M.D. Degree from New York University School of Medicine. He trained in internal medicine and pathology at Bellevue Hospital Medical Center where he was intern, resident and Chief Resident. He has been a medical examiner for forty‐five years and has performed more than 20,000 autopsies.